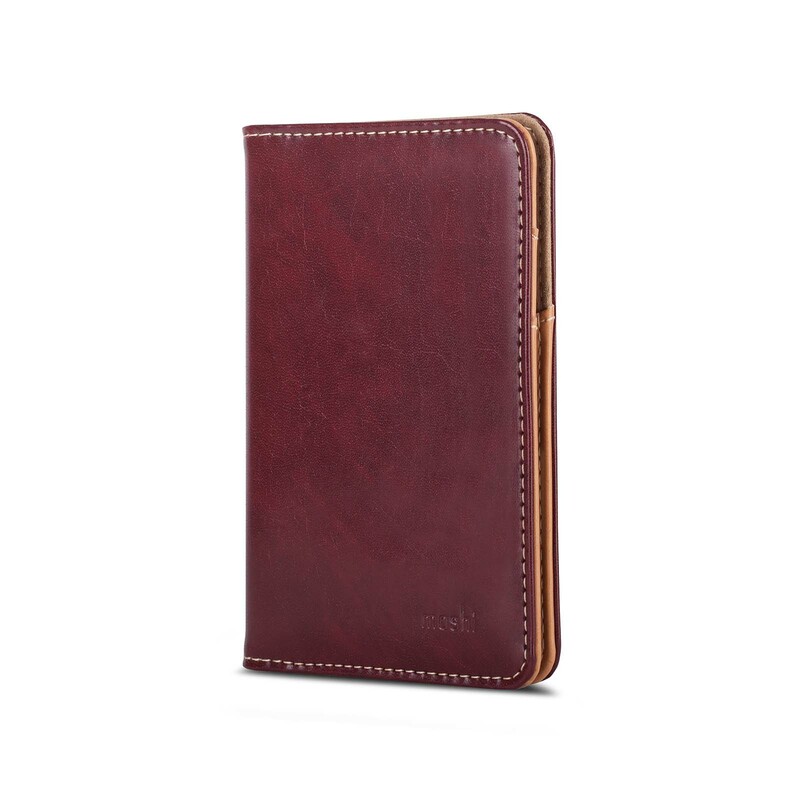 A premium holder that secures, and protects your passport while keeping it accessible when going through customs. 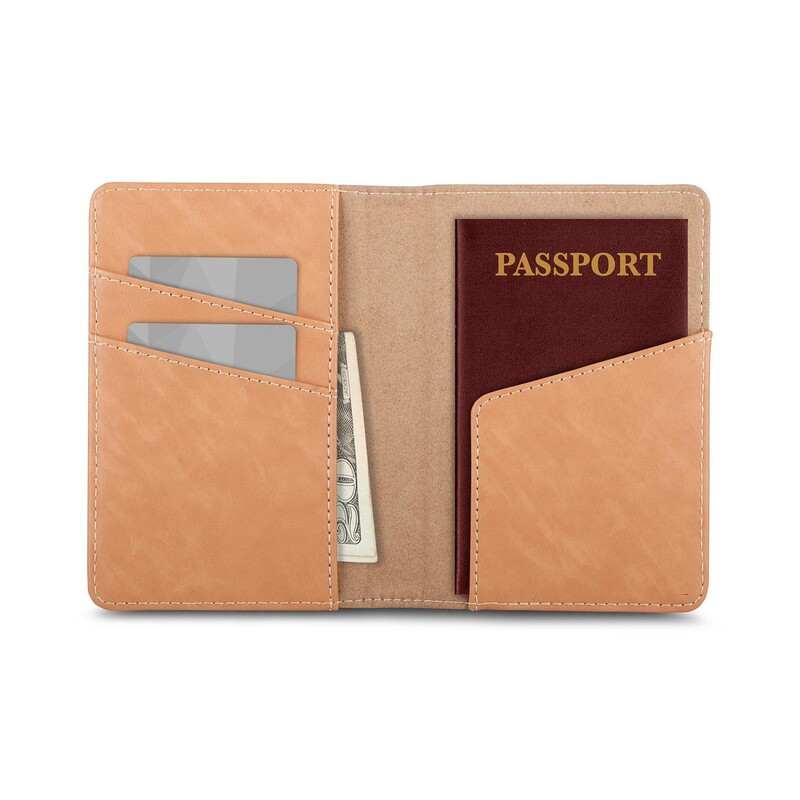 Moshi's Passport Holder protects your most important travel document wherever you go. The insert slot keeps your passport securely tucked away and retrieves easily when going through customs. 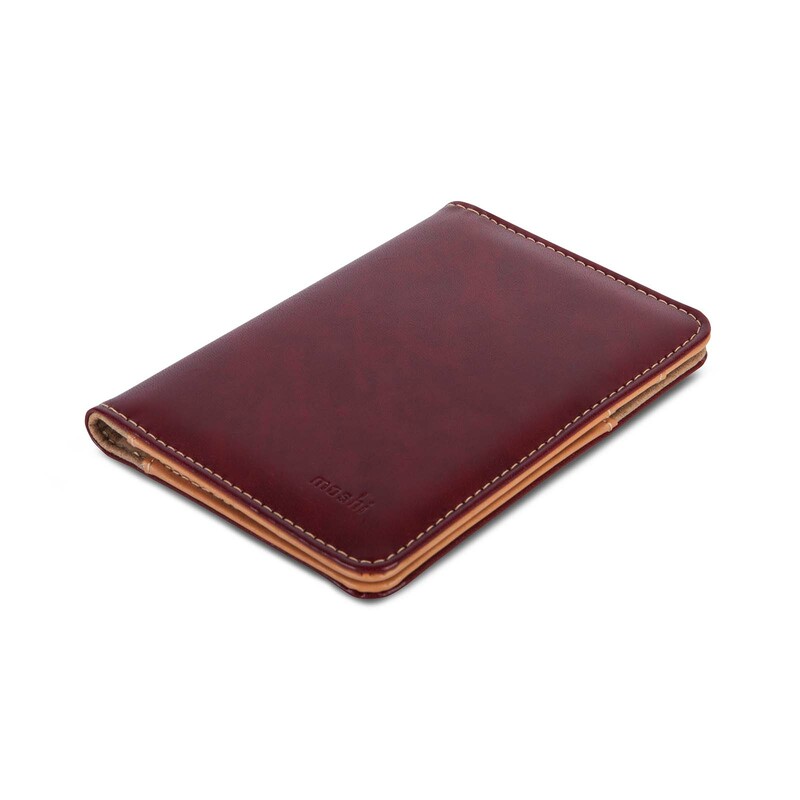 It also features two slots for frequently used travel cards, as well as an inside pocket for storing currency and receipts. 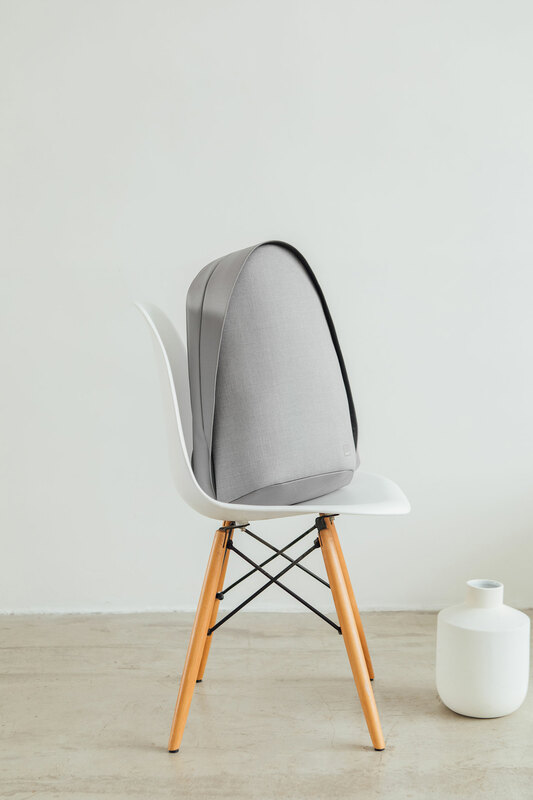 The soft vegan leather cover is both weather-resistant and durable, while the inside lining is made with premium microfiber. 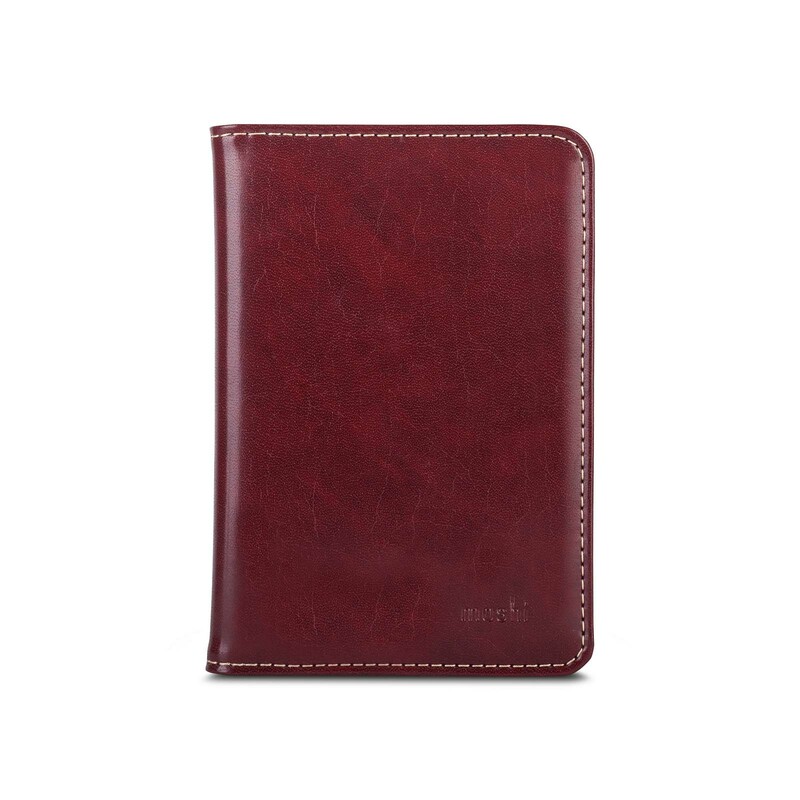 Whether jetting off to the airport or simply on an afternoon excursion around the city, Moshi's Passport Holder will ensure that every journey is smooth sailing.